The toy line based on long-running comic series The Walking Dead is proud to introduce the series' most famous villain, the Governor, along with two of his henchmen! 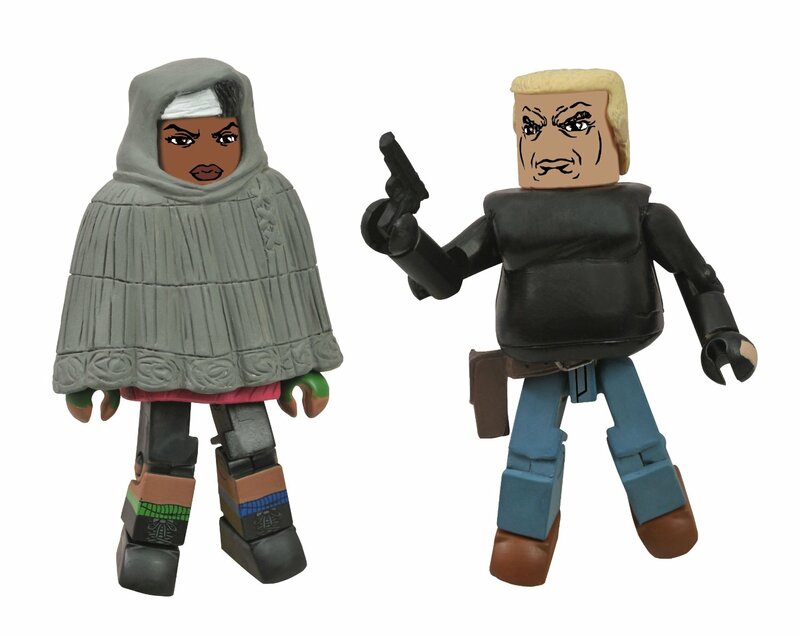 The assortment includes four different two-packs, including The Governor with Gabe, Michonne (Poncho) with Bruce, and two short-packed, specialty-exclusive sets: Prison Lori with Shoulder Zombie and Alice with Shoulder Zombie. Each Minimate stands 2 inches tall and includes a variety of interchangeable parts and accessories.